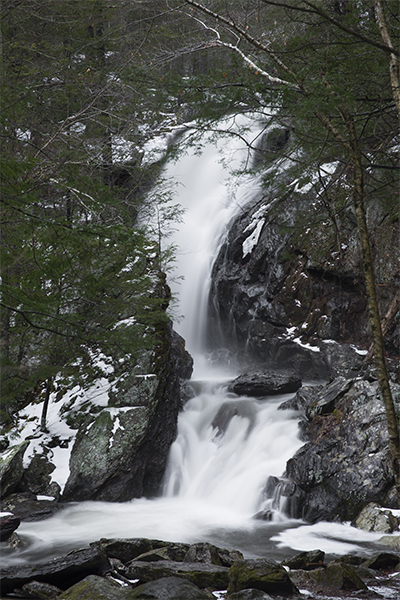 Within Campbell Falls State Park, the Whiting River drops 50 feet in a magnificent thundering display at Campbell Falls. 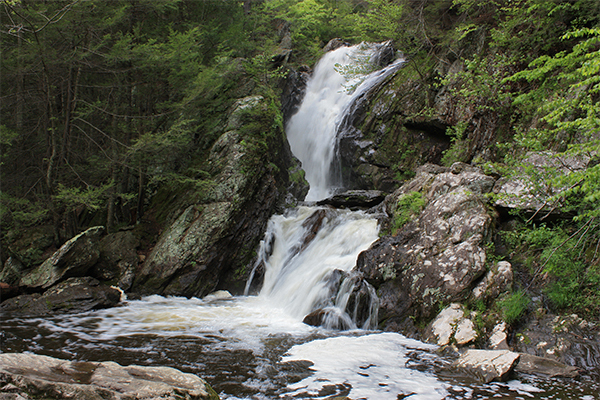 The river falls through a tight gorge where the direction of the water flow changes twice, first to the left, then to the right. 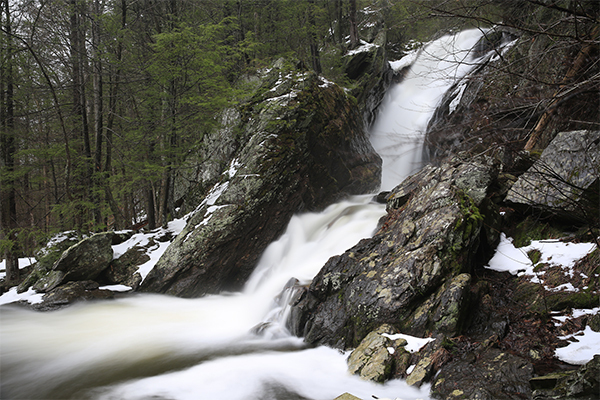 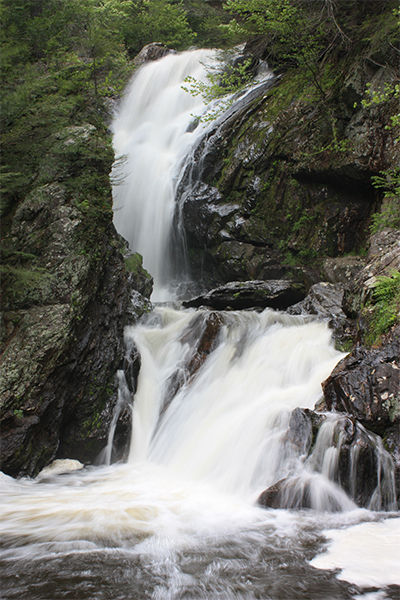 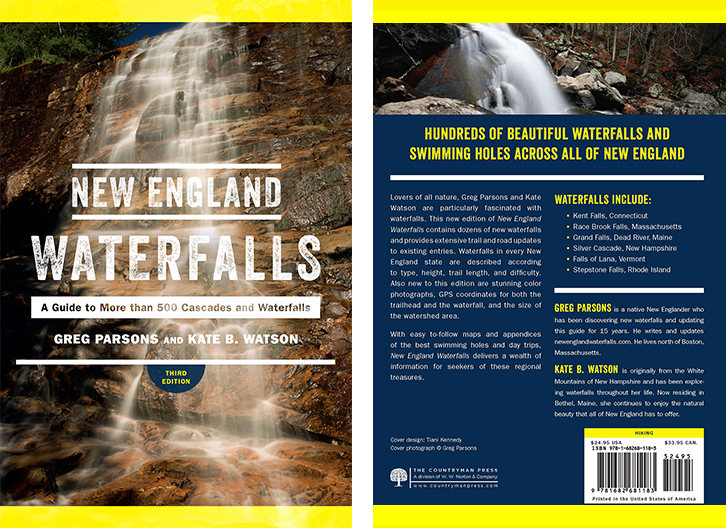 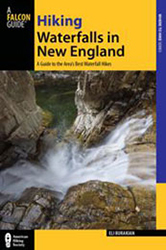 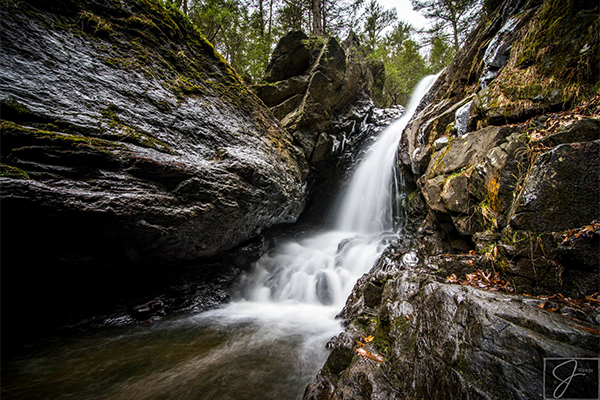 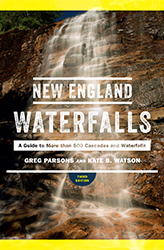 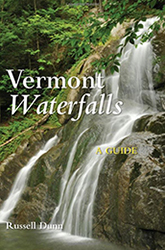 This zigzagging section of river, as it can best be described, has a rugged feel not often found in Massachusetts waterfalls. 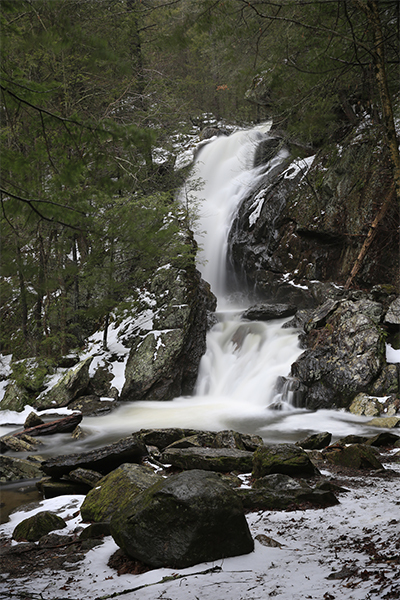 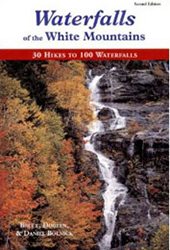 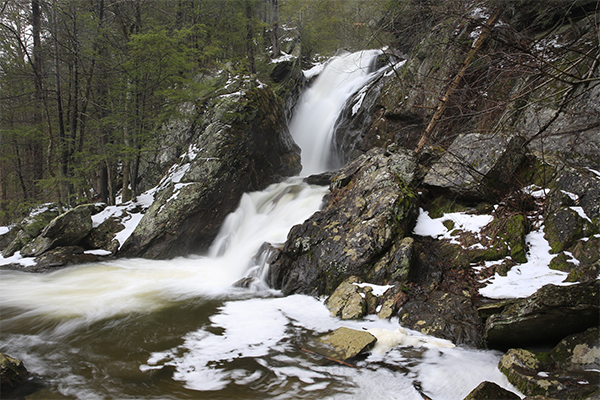 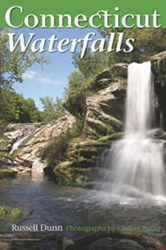 The waterfall’s power in early spring is a thunderous surprise, considering the gentle terrain of the trail and the surrounding forest.